I pray for pastors. I am one. I know how hard it can be. My wife forwarded the article below to me this morning. We have been in and out of seasons like the author describes. It is so necessary, no, mandatory, that we pray for spiritual leaders. They have extra large targets on their backs. It can be tempting to do something else...maybe attempt less for the Kingdom in order to not be spotted by the enemy. But God calls certain men and women to great exploits and to lead others along in the ground taken. Keep walking by faith. The original date of this article in Charisma is very significant to me personally. It was dated July of 2015. I wish I had seen it then. Little did I know that the next 5 months was going to be one of the most difficult and frustrating times in ministry I had ever experienced. However, as usual...the storm was strong, but the victory was greater! That season of pressure and difficulty was the incubator for the planting of our current church The Altar. God would actually use the pressure to steer us into the greatest victories of our lives. Read the article and take heart if you are under attack. There is a great assault and attack against many front-line leaders and forerunners right now. The enemy is working hard to 'shut down' these ones and hinder them from moving forward and stepping into what the Lord is about to do in and through them. I had a vision where I first heard the Lord say, "Front-line leaders and forerunners, batten down the hatches." I then saw many front-line leaders and forerunners all together and bent down on their knees with their shields held up in front of them, sitting behind their shield of faith, and there was a barrage of arrows being thrown at them. Every time they have thought the "assault" had ended they stood up and the arrows would begin again. Many front-line leaders and forerunners have felt like they are in a moment of complete 'assault' from many directions. I saw many front-line leaders and forerunners weary from the battle. In this vision, I was in front of these front-line leaders and forerunners and I could see the enemy and his demons which were shooting arrow after arrow at them attempting to wound them. In the 'weariness' many of these front-line leaders and forerunners were facing at times they put their shield down out of discouragement and weariness from holding it up, and were "hit" and "wounded" by these arrows that had come against them. So they were then holding their shield of faith up again but finding it harder than before because of the "wounds" they had received. I then saw Jesus walk up behind many of these front-line leaders and forerunners, and I saw Him place His hand on their backs one by one and He was praying for them, interceding for them. As I watched, I saw Him moving His hand all across their backs in different spots. I walked over to have a look and saw other wounds these front-line leaders and forerunners had received were on their back. But the enemy was in front of them, so I was perplexed by these wounds on their back. Suddenly, this "knowing" came over many. Not only were many of these front-line leaders and forerunners being hit from the front and the enemy coming on strong with his assault, there has been an assault against many of these ones from the 'back.' Being "stabbed in the back" by people they trusted, even other believers, judgments, curses and jealous words that had been spoken against them. I could see Jesus was healing these wounds and praying for their strength in the midst of their battle. As He prayed His Words of truth and love were bringing such deep healing. A deep strengthening was happening in these front-line ones. "And the God of Israel will be your rear guard." (Isaiah 52:12, MEV). The Lord then spoke, "A refreshing heavenly oasis (a fertile spot in a desert, where water is found.) is opening up before you. An invitation into deeper intimacy in the midst of this battle. Many of you have felt you are in the desert; the battle has been so intense that weariness has left you in a place of feeling dry and exhausted. Before you I am opening up a fertile spot, a place of life and heavenly waters of refreshing in Me." Places of incredible encounters with Him are opening up for front-line leaders and forerunners right now. Suddenly, I saw pools of water forming around these front-line leaders and forerunners in the midst of the battle. Nothing had changed from the "arrows" coming against them, but there was a new level of intimacy being opened up for them as they remain steadfast in faith. Encounters with His heart like they have never had before while in the chaos of the battle. A deep refreshing was coming to these ones. An increase of visions, prophetic dreams and encounters that was seeing them begin to stand up in the midst of this battle and walk forward in boldness. As these ones began to walk forward in boldness I saw Jesus walking with them. I could see Him behind them, beside them and before them all at the same time. They were holding their shield of faith in their hands and a determination in their heart and eyes to see the enemy and his demons overcome by the authority that was theirs. As they moved forward, the enemy began to retreat, farther and farther back. I then noticed that as they were moving forward in boldness and a deep refreshment that had taken place in these encounters, I saw the body of Christ as a whole and in the middle I saw a clock. It looked like a normal clock face with numbers and clock hands, but then also on the clock face were various quadrants which represented seasons the body of Christ was moving into. I saw the hour hand was seconds away from midnight, but still in the "contending season" quadrant. As these ones moved forward they began to speak out declarations and heavenly revelations the Lord had given them in these encounters and suddenly the clock began to shake. It was like an earthquake was happening in the middle of the clock and suddenly I saw the clock hand move to midnight and then again suddenly forward into "harvest revival increase time." 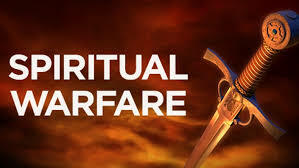 The "knowing" then came over me that many of these forefront leaders and forerunners have been under such assault because the Lord is releasing through them the revelations and kingdom keys to shift the body of Christ into "harvest revival increase time," but at an accelerated pace. Moving the people of God into a time of great revival within the body of Christ and releasing revival to the world. What they were "fighting for" behind their shields was not only for their personal breakthrough but also fighting on behalf of the body of Christ to see one of the greatest shifts the church has ever seen before. Paving the way, breaking ground for the body of Christ to move into the greatest time of harvest, revival and increase they have ever experienced. Suddenly as this clock hand moved past midnight into the "harvest revival increase time" I saw physical ailments, unexplained sickness and diseases, heavy financial burdens and word curses suddenly disappear off these front-line leaders and forerunners. Much of what these ones had endured through this season was sent from the enemy to stop them from moving forward and shifting the body of Christ into her new season. There was sudden restoration. Forefront leaders, and forerunners, there has been great assault against many of you, and the enemy has been screaming, "give up." Do not give up, for you are not only fighting for your personal breakthrough but the shifting of the body of Christ into the greatest season we have seen thus far. You are but steps away from breakthrough. The Lord is with you. He is bringing healing to you. Some of the greatest encounters with Him are upon you in the midst of the battle. He is opening up a heavenly oasis of refreshing before you in the midst of the battle. You will receive GREAT wisdom and revelation in these encounters and great strengthening that will not only set you on your feet again, but give you the keys to shift the body of Christ into this new season. The Lord is walking with you, behind you and before you. It may seem that things have been lost and broken in this season, and it may feel like you have been under a constant barrage of arrows, but you are moving forward in greater strength, courage, fearlessness and revelation. Not only will you see tremendous breakthrough in your life, and receive double recompense but a huge corporate breakthrough and shifting across the body of Christ. "I honor you for fighting. Jesus honors you for fighting and standing. I am proud of you front-line leaders and forerunners. Jesus is proud of you front-line leaders and forerunners. Thank you for standing! Jesus thanks you for standing. Your faith, obedience and sacrifice has not gone unnoticed. Great is your reward." Jesus stands before you welcoming you into your "harvest revival increase time" with the body of Christ following after you. 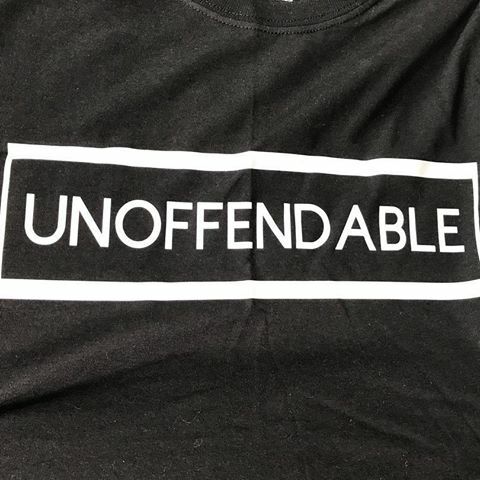 I didn’t make up the word “unoffendableness.” I first read the word in a staff meeting at Bethel Life Center many years ago. Our youth pastor asked if he could lead a team-building exercise. Each one of us were handed a 3x5 notecard and were asked to write our name on the top. Then, we passed the cards to the person on our left. With each card, we were to write a positive word, statement or phrase that, in your opinion, best described that person. When the circle was complete, each received their card back with a list of people’s best thoughts about you. It really was a great exercise. I still have that card. My friend Mark (the youth pastor) wrote on my card. 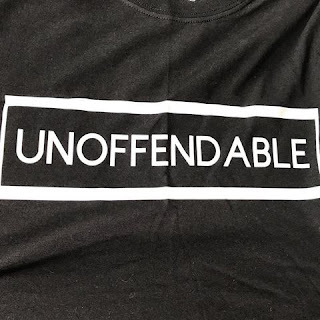 “I appreciate your ‘unoffendableness.’” He chuckled as I slowly tried to pronounce the syllables out loud. I don’t relay this encounter for any reason except to say, Mark was right. I cannot remember the last time I was offended. I attribute some of that to my dad’s influence. You could spit in my dad’s face and he’d take you for coffee to talk about it 5 minutes later. Maybe some of it came from childhood pastor, J.P. McCamey. Talk about a man smooth under pressure. He is always smiling, always believing the best in everybody, no matter what they’ve done or where they’ve been. I’m also quite sure I learned much under Kenneth Woods, the first pastor I ever worked for. If he was ever upset or irritated about something, you could never tell. If there was ever any problems within the church, no one knew, even his own staff members. Again, smooth leadership, even when it was tough. I honestly cannot think of one person on this planet that I would not go up to and hug and wish them God’s best if I saw them on the street today, regardless of what our past may look like. Why? I’m not offended. I’m not ashamed. I’m free. I’ve always been the type of person that would rather apologize to save the relationship, even if I had nothing to apologize for. (Yes, I’ve had plenty of missteps for which I needed to apologize…and have done so.) I’ve stood in the pulpit on many occasions teaching on forgiveness and proclaimed, “I cannot be offended.” That statement always brings a chuckle from the crowd…and some have taken that statement as a personal challenge to prove me wrong. They lost every time. Here’s why I share this particular blessing in my life. Who are the “many” who would be defiled? 1. You. If we choose not to participate in the grace of God toward others, then we undermine the grace of God in our own lives. We cannot fully understand what an incredible gift His grace is until we actually pass that gift on to others in need of it. 2. The one trying to offend you. Wounded people…wound people. Yes, offense is always available, but remember, you may be the one true representation of Christ that wounded person may see. Would Jesus react with anger, bitterness or offense? No. Then why should you? He may be setting you up to be the healing agent in their lives. It doesn’t get any better than that! Rick Renner posted this morning: “You can’t be offended without your own consent.” Remember, offense is your choice. Every offense that you hold onto from the past is like a weight. With each new offense, more weight is added until it becomes very difficult for you to move forward with joy in any area of life. The cycle has to stop and with God’s help, you’re the only one who can decide you’ve had enough. Offense is a prison sentence. Offense produces a sick heart and leads to poor physical health. Heed Jesus’ warnings to forgive so that you can be forgiven. Allow me to clarify one thing. I have never said that I haven’t been disappointed or let down by others from time to time. That’s part of life. However, each of us own the choice to hold on to those disappointments until they fester into a cancer on the soul. Was I offended? Absolutely not. Did I forgive that person, even though an apology was never offered? Absolutely, almost immediately. Was I providing a necessary boundary around someone else’s choices so they clearly knew where I stood? Yes…and that’s a very healthy, empowering thing to do. Wounded people tend to rehearse the offenses of the past and live only to survive. Thriving has almost become impossible because all the offended see is how they’ve been hurt. We should empathize and pray for them, but never dwell there with them, borrowing their offenses and making them our own. Thanks for that card, Mark. I still have it. It was a game-changer.